You can view the equivalent rate of any crypto in fiat currency for all crypto-to-crypto trading pairs. 1. Select the crypto pair to trade (ETH-BTC is given as an example in all below screenshots). 2. From the price ticker, tap on EUR to view the ETH equivalent price in Euros. 3. 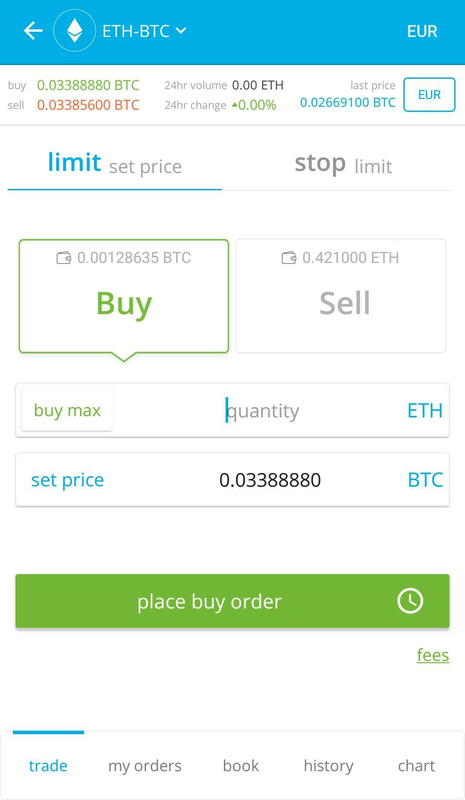 Tap on BTC from the price ticker to view the ETH-to-BTC trading price.